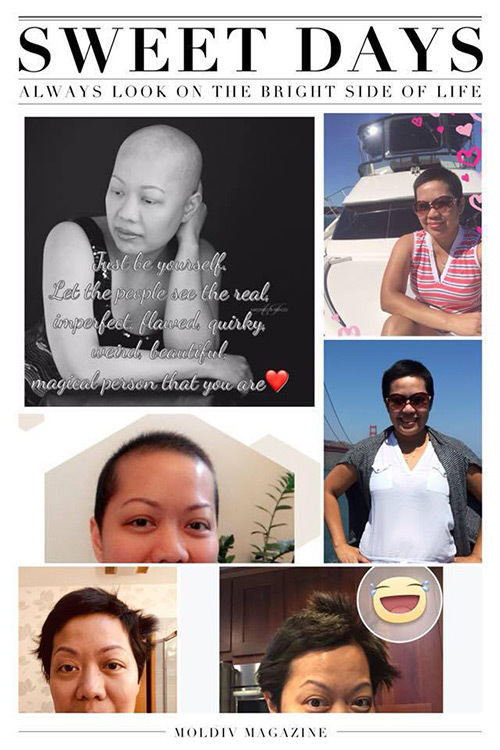 My journey with endometrial or uterine cancer started last year, October 2016, at 41 years old. I noticed the changes in my menstrual cycle probably 2 years ago or so. The symptoms were prolonged, with heavy bleeding for 3 weeks. I only had 1 week off to rest and my menstruation or bleeding started again. Light hot flashing at night or even during day time, and my period would start and end with watery, pinkish discharge… none of which made me think anything was wrong. Though I recall, too, that I have always experienced menstrual cramps or dysmenorrhea. I never consulted a doctor; I thought it was just normal to have cramps. I also feel bloated and gassy most of the time and have back pain too. I feel tired all the time. I wake up and after a few hours I always feel that I need to sleep again. When I bleed, it’s like peeing. I need to change my pads almost every 5 or 10 mins, and there are a lot of blood clots too. My bleeding worsened, and I started getting sicker and even throwing up after eating. I had the transvaginal ultrasound. I had a call from my provider, and I was advised to see a gynecologist A.S.A.P. The nurse said that they saw abnormalities in the ultrasound. I had a gynecology visit and they took a biopsy sample. The gynecologist told me she didn’t like what she saw in the sample taken. I received a call and was told that I have endometrial cancer – grade 3 (it means my cancer is very aggressive), and again I was advised to see an oncologist A.S.A.P. I met my oncologist and he explained everything I needed to know, and after the visit I had a CT Scan (to check if the cancer had not metastasized). After 2 hours, I received a call from my oncologist, and he told me the good news; the result was negative, and I could proceed to my surgery. I had a “hysterectomy with bilateral salpingo-oophorectomy” by laparoscopic surgery. I stayed overnight and was discharged the next day. RECOVERY was great. I was given many meds for pain. I avoided taking hydrocodone regularly and instead took Tylenol in between. (NOTE: I took magnesium citrate a day before the surgery to clean my gut. A friend of mine who had a hysterectomy told me it is better to have a clean gut before surgery, and it really helps.) Also, I was given a stool softener, Senna-Lax and an osmotic laxative, which never worked for me. I drank prune juice and it worked great for me. As we all know, it is very important to pass “GAS” and “poop” after the surgery. Sorry, it’s TMI, but I have to share it =). It also helps if you drink a lot of water. Yes, I’m an advocate of hydrating yourself. I am so thankful my recovery went well… Within 2 weeks, I didn’t need any pain medication anymore. The dreaded news that everyone doesn’t want to hear: the cancer stage. 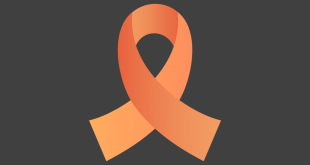 I was diagnosed with endometrioid carcinoma (FIGO stage IIIC1, TNM stage pT3a N1). My treatment was every 3 weeks. My blood platelets started to go down on my 3rd treatment. My 4th treatment was delayed for a week or so as well as my 5th and 6th. My last treatment ended up in April 2017. My doctor asked me if I wanted a blood transfusion because my blood platelets were so low. I said I still felt fine, and If I needed it, I would tell him. I recovered well from my chemotherapy treatment. I never limited my diet. I ate anything I wanted to give my body enough strength to go through the treatment. BTW, my hair never stopped growing throughout the treatment, but I needed to shave it everyday. Otherwise, it would fall out and then grow again. So, I decided to start growing my hair in June 2017. I had 28 rounds of radiation treatment. The side effect was diarrhea. 3 weeks after the last treatment, I was back to my normal life with minimal side effects. My joints were weak and I had occasional diarrhea (it depended on what I ate, so I avoided foods that trigger diarrhea). My CT Scan and CA125 (blood test) came out clean. Glory to God! I feel fantastic as I write my experience today (November 28, 2017). My journey was never easy, but my positive attitude and faith in God are the reasons I’m alive. If you are diagnosed with any cancer, don’t panic or be afraid. Surround yourself with great friends and family. Educate yourself through the internet, not to make you feel worse, but to read some uplifting stories. Life is great. Everything happens for a reason. There’s always a great purpose. I don’t like going to the doctor. 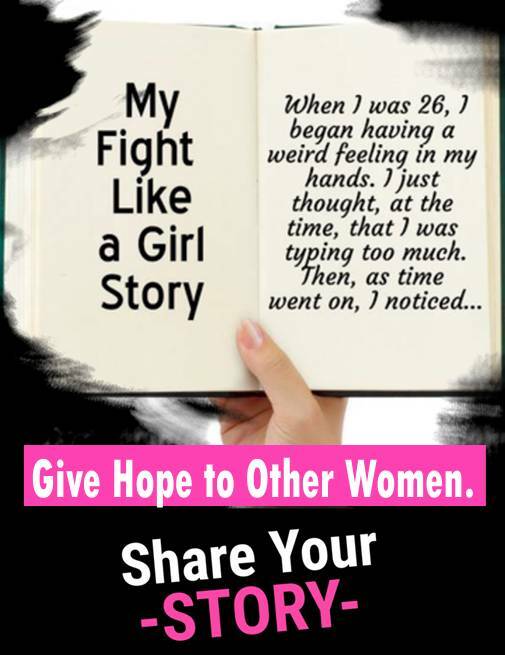 But, of course, after being diagnosed, I advocate for endometrial cancer awareness and genetic testing by sharing my story at my Facebook page. I am thankful to be able to help some of my friends and to give them enough courage to go to the doctor. I also shared a video I got from YouTube about Endometrial Cancer. The doctor said if you notice some changes in your menstrual cycle, don’t wait to have it checked. Your story is my story. Diagnosed 5/18. I just had my first chemo cocktail in June, with my second in July. How are you doing now? 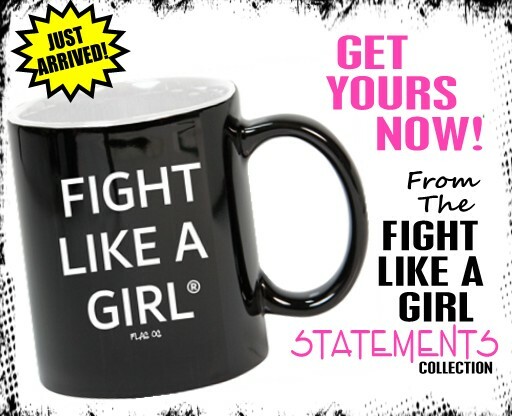 Any words of wisdom you can give me to survive the next 5 infusions ? Sorry to not see your comment. I hope you did well with your treatments. 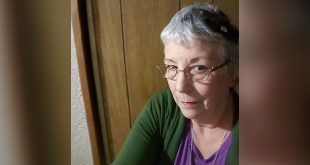 I am just about to start my Chemo next week. I am Stage IV. Your words give me hope! Thank you. 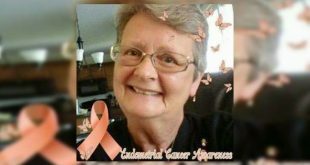 Hi, I Have Stage 1V Endometrial cancer diagnosed in March this year. I have just finished my 6 rounds of chemotherapy & it was not as bad as I thought it was going to be. I had a few days of feeling a bit nauseated after each bout & constipation but nothing bad enough to stop me doing my everyday things. I had minimal hair loss also. I didn’t dwell on the negatives just took each day as it came. I feel really well now. Just had more scans & blood tests & waiting for results. All my family & friends were very supportive. Keep a positive attitude I find this helps. I remember what my Gyno-Oncologist told me that every individual has different reactions from Chemo treatments. Number 1 that helps me to go through my Cancer journey is having “Positive Attitude” and Acceptance. I told my self “It is what it is”, I’m okay with whatever happens because stressing on something that I cannot control won’t change to the fact that I have to deal with it whether I like it or not. It’s been 1.5 years now since my last Chemo/Radiation Treatment and everything is doing well. I have 3 months/6 months follow up and I’m about thinking to remove my chest port as my Doctor approved. I wish and pray for your smooth journey.